I hope everyone's week is going well. I have been busy trying to finish all my Christmas decorations. Almost there! Since I am still adding the final touches to the other rooms and it is raining so I can't take pictures of our front porch, today I am sharing with you our mantle for this holiday season, which is finally finished. It is taking me so long this year, because I literally made everything to decorate our family room. for this year new theme. In the center I used two glass vases from Homegoods filled with ornaments and the "Joy" letters I made. After we decided on going "green", I had to give them a new look. and created a little Christmas scene inside. On each end of the mantle you will find my old metal vases which got spruced up with some new burlap ribbon. The branches came from one of our trees and I used Epson salt to give them a winter look. On each branch I added one of this little owls. I used my old lighted garland we had for years and just gave it a new look. and made another sign, which I decorated with sparkly snowflakes from Dollar Tree. My husband made me the little frame to finish it off. And that is our Christmas mantle for this year. I will never be finished this year! Oh, Maria! BRAVO! Every inch of your Christmas mantle is exquisite. Your cone trees, JOY sign, and filled lantern are so pretty. I love the balance of each side, and the way the little pops of red create a pretty frame. Your swag is gorgeous (and I wish you could give us a lesson on how you did that!) The pillows, flowers, and sign look just right on the hearth. And everything is lit up to perfection. The colors, textures, and scale, are all just right. Pure magic. You are an amazing and talented woman, my friend. You are so inspiring! So pretty, Maria Elena. I love the colors you chose. Wow, Maria Elena! All handmade, unique and beautiful! Well done! It's lovely! Are those pine cone stars? I've never seen those before, They're so pretty! That mesh can be tricky to work with, but you did a wonderful job! Gorgeous, I love the apple green and your cone trees are so pretty. The garland is stunning. You always put together such beautiful spaces. Thanks tons for linking to Inspire Me. Your mantel looks beautiful! I love the green and cream. Thank you for partying at THT! 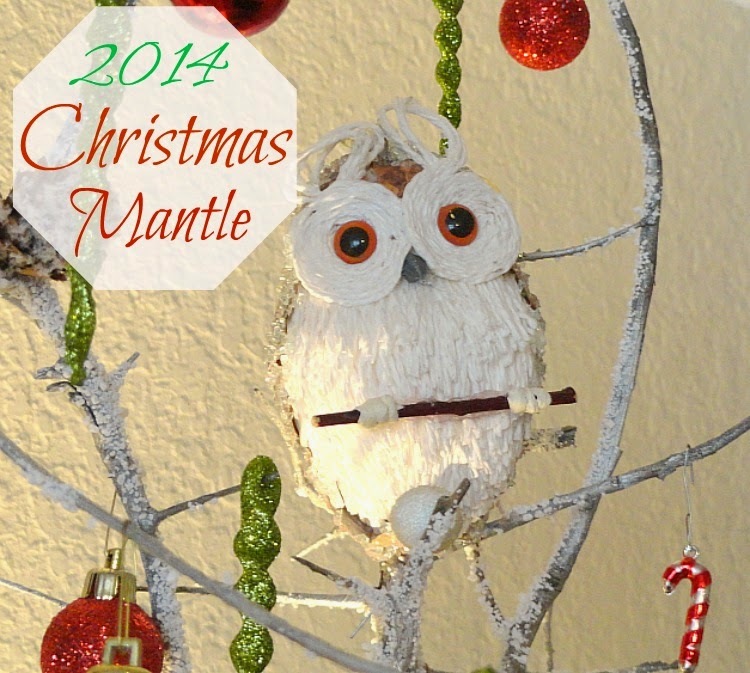 Your mantel looks wonderful! 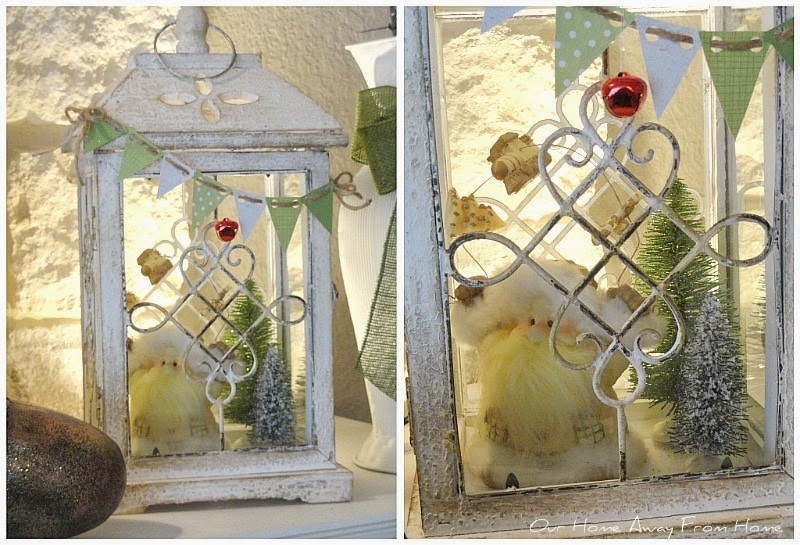 I love the branches with the little ornaments & owls...so cute! I love the color scheme too! Your mantle decor is so beautiful! 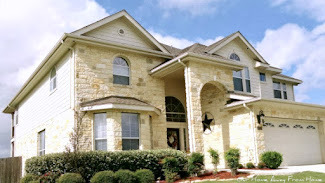 I have been following your blog for about a year and love to see all that you are doing to your house. Both you and your husband are so talented! Thank you for sharing. Wow Maria Elena, love your gorgeous mantel. So vibrant and pretty with those colors and your cute little trees. Happy Holidays. 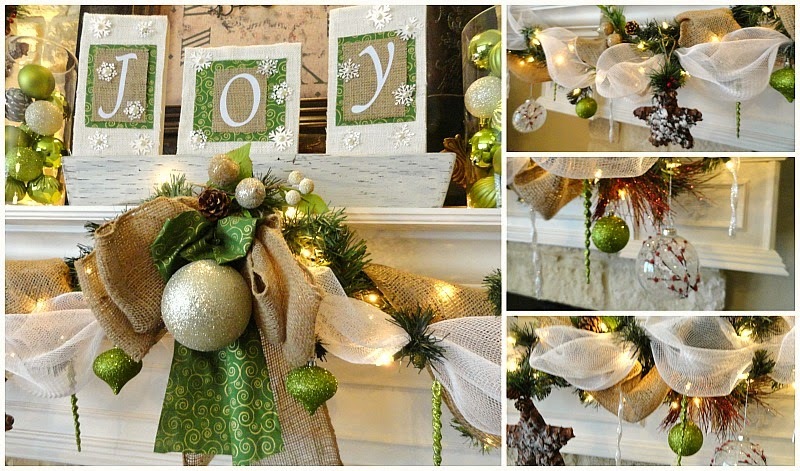 Wow, you sure put a lot of work into creating your gorgeous mantel for this year and with some fun colors, too! Wow this is beautifully done! The mesh ribbon and burlap mixed with the garland turned out fabulous! Love the lanterns and the trees with the owls. Every detail is so well chosen and done! It's Beautiful Maria! I love the mesh ribbon its so easy to use and you can do just about anything to it! The mantle is just gorgeous! So very creative, I love the sweet owls and the sign. Perfect! Love this gorgeous post! You are featured this week at Ivy and Elephants, thanks so much for sharing with us! Please feel free to stop by and grab a featured button. Thanks so much for sharing your festive mantel at my SHOW AND SHARE PARTY this week. Maria, your mantle is so fun! Love the mostly green and white with just a pop of red. As always your pillows are gorgeous! Thanks for sharing with Creating Christmas.